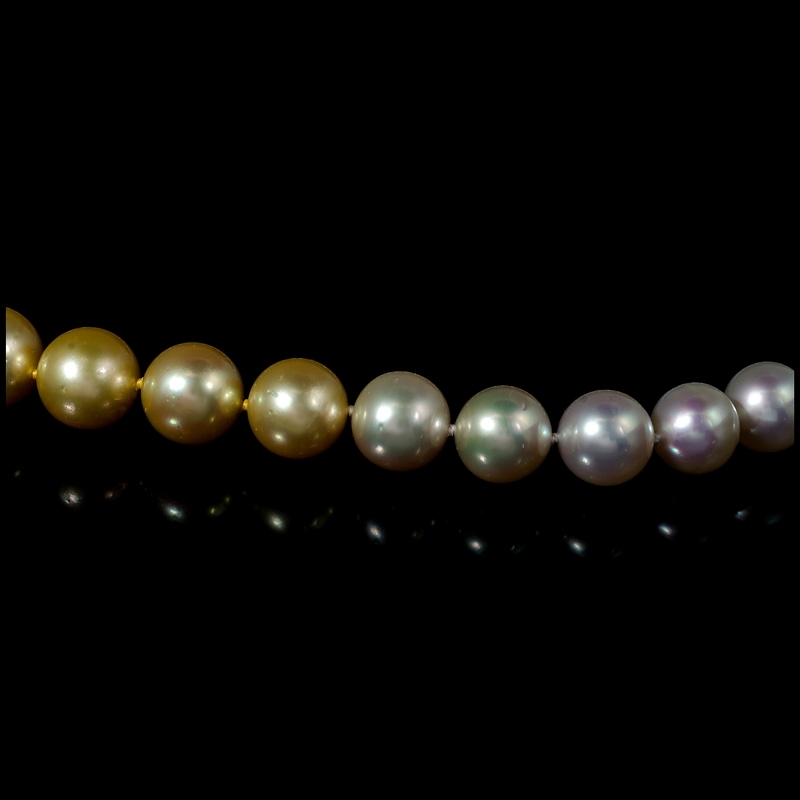 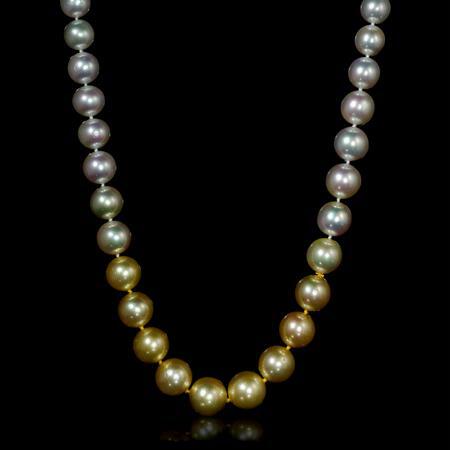 Pearl Details:Ombre south sea pearls of very high luster, measuring 11.1mm to 15mm in diameter. Measurements: 34 inches in length. 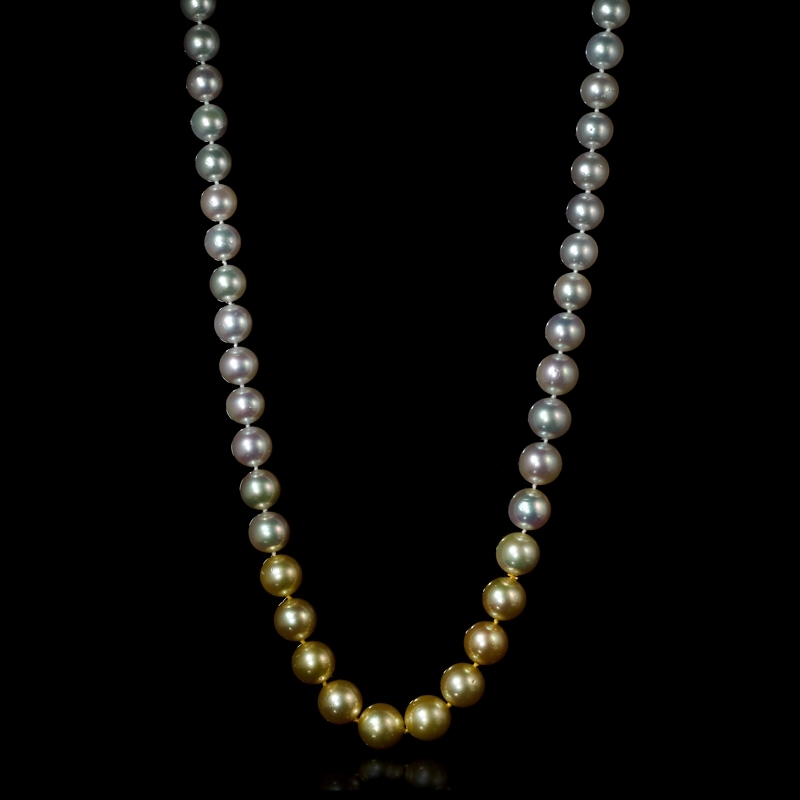 This magnificent 14k white gold pearl necklace, features ombre south sea pearls of very high luster, measuring 10.8mm to 15.2mm in diameter. 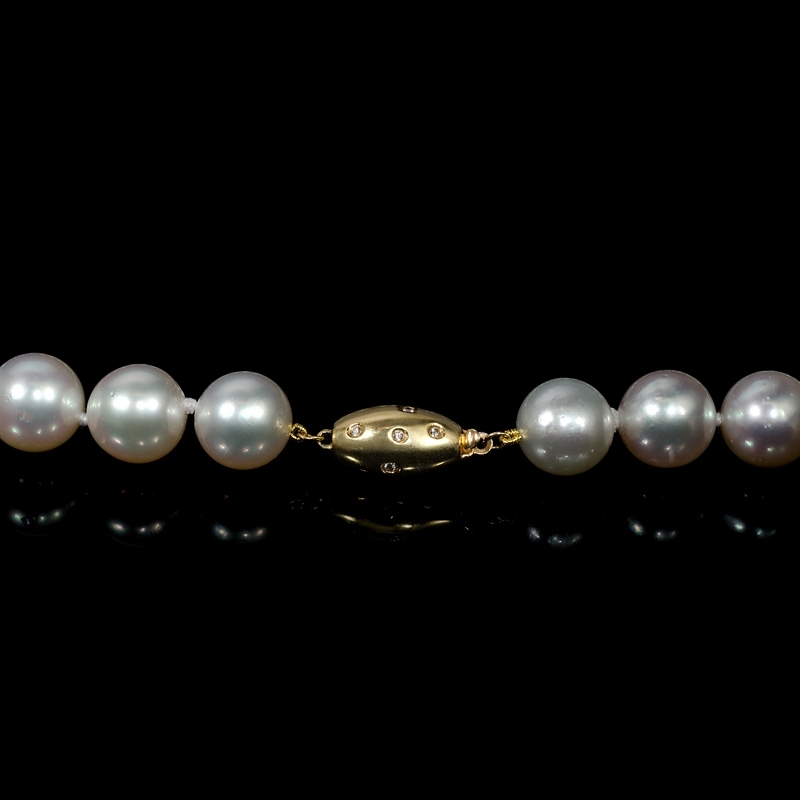 This pearl necklace measures 34 inches in length.